Shown in Grade "C" Laundered Linen - Silver. Moonlight finish on tapered oak legs. May also be ordered as a swivel glider. 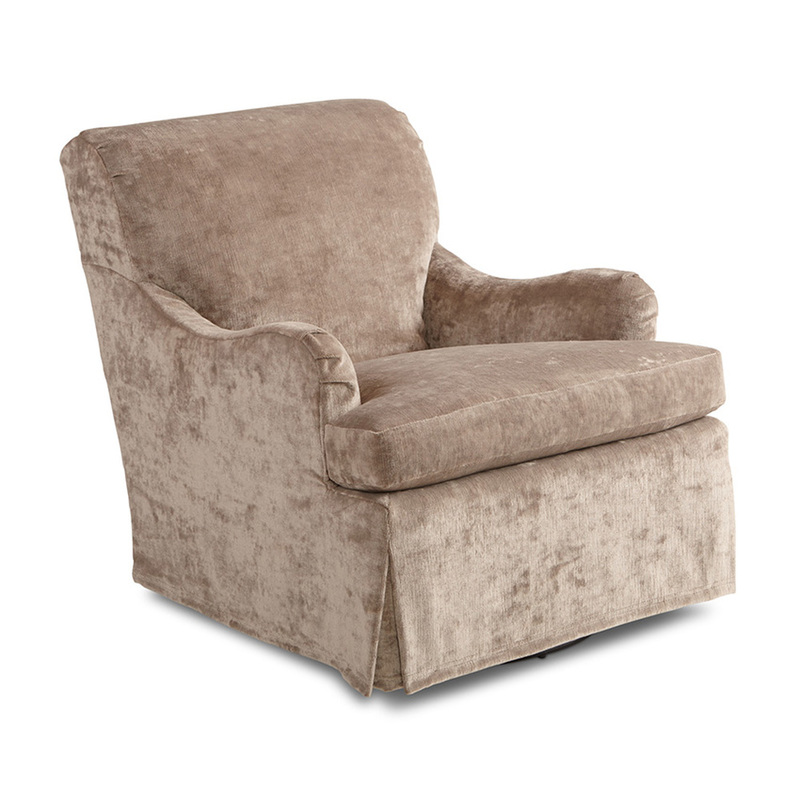 Swivel glider option requires a slipcover or skirt.